FleetLink Safety Dashboard™ provides live video feeds, archived videos, and picture views into your fleet, driver, and collection services activity. You benefit from an intuitive back-office view into what’s going on for each route, truck and driver, taking advantage of DVR functionalities. 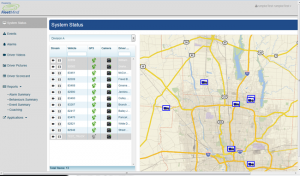 It is also fully integrated with FleetLink Map™ and FleetLink Reports™, and supports all modern web browsers.